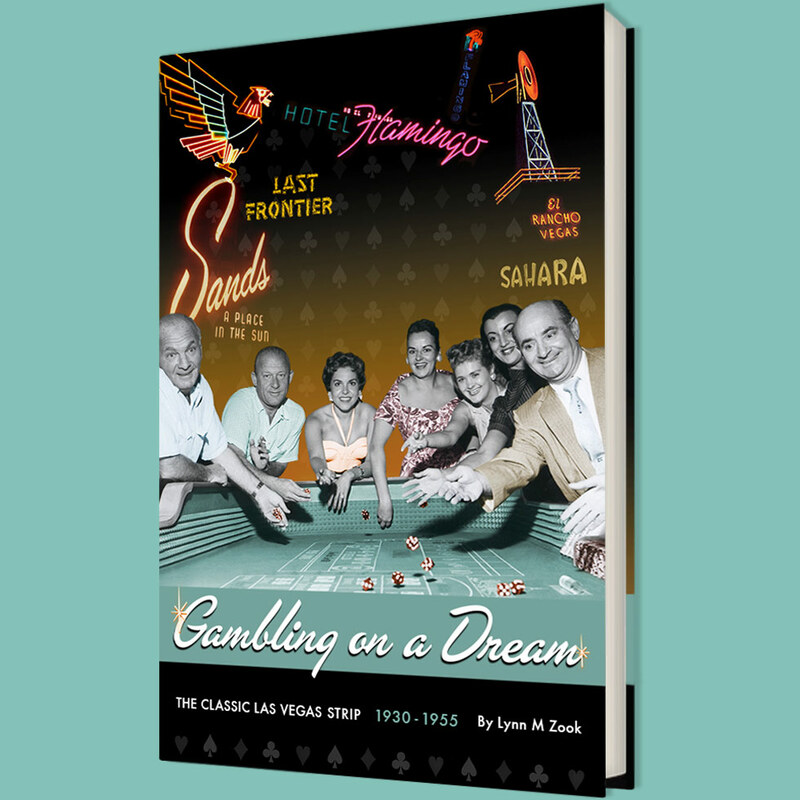 If you live in Las Vegas or visiting there, I am happy to announce that I will be doing a presentation and book signing for my newly published book, Gambling on a Dream: The Classic Las Vegas Strip 1930-1955 on Saturday, December 8th at the Nevada State Museum (at the Springs Preserve). I’ll be talking about the early days of the Las Vegas Strip when it was better known as a pot-holed. two-lane highway that connected the small town to southern California, how it began and how it grew. It all begins at 2:00 pm and I hope to see you there!